NVIDIA today unveiled a palm-sized, energy-efficient artificial intelligence (AI) computer that automakers can use to power automated and autonomous vehicles for driving and mapping. 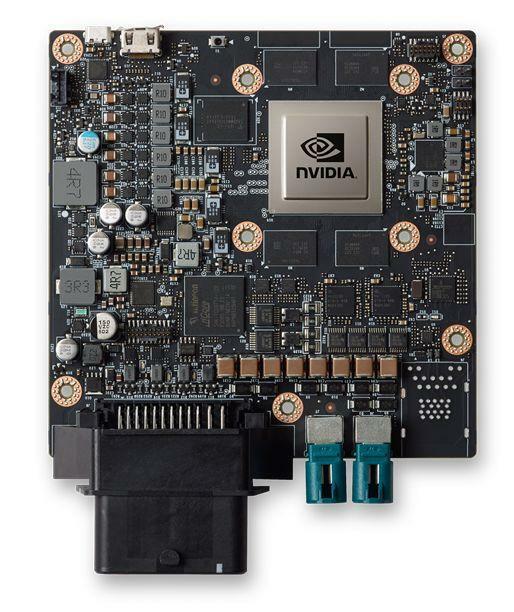 The new single-processor configuration of the NVIDIA DRIVE PX 2 AI computing platform for AutoCruise functions -- which include highway automated driving and HD mapping -- consumes just 10 watts of power and enables vehicles to use deep neural networks to process data from multiple cameras and sensors. It will be deployed by China's Baidu as the in-vehicle car computer for its self-driving cloud-to-car system. DRIVE PX 2 enables automakers and their tier 1 suppliers to accelerate production of automated and autonomous vehicles. A car using the small form-factor DRIVE PX 2 for AutoCruise can understand in real time what is happening around it, precisely locate itself on an HD map and plan a safe path forward. "Bringing an AI computer to the car in a small, efficient form factor is the goal of many automakers," said Rob Csongor, vice president and general manager of Automotive at NVIDIA. "NVIDIA DRIVE PX 2 in the car solves this challenge for our OEM and tier 1 partners, and complements our data center solution for mapping and training." More than 80 automakers, tier 1 suppliers, startups and research institutions developing autonomous vehicle solutions are using DRIVE PX. DRIVE PX 2's architecture scales from a single mobile processor configuration, to a combination of two mobile processors and two discrete GPUs, to multiple DRIVE PX 2s. This enables automakers and tier 1s to move from development into production for a wide range of self-driving solutions -- from AutoCruise for the highway, to AutoChauffeur for point to point travel, to a fully autonomous vehicle. "Baidu and NVIDIA are leveraging our AI skills together to create a cloud-to-car system for self-driving," said Liu Jun, vice president of Baidu. "The new, small form-factor DRIVE PX 2 will be used in Baidu's HD map-based self-driving solution for car manufacturers." NVIDIA DRIVE PX is part of a broad family of NVIDIA AI computing solutions. Data scientists who train their deep neural networks in the data center on the NVIDIA DGX-1 can then seamlessly run on NVIDIA DRIVE PX 2 inside the vehicle. The same NVIDIA DriveWorks algorithms, libraries and tools that run in the data center also run in the car. This end-to-end approach leverages NVIDIA's unified AI architecture, and enables cars to receive over-the-air updates to add new features and capabilities throughout the life of a vehicle. NVIDIA DRIVE PX 2 is powered by the company's newest system-on-a-chip, featuring a GPU based on the NVIDIA Pascal architecture. A single NVIDIA Parker system-on-chip (SoC) configuration can process inputs from multiple cameras, plus lidar, radar and ultrasonic sensors. It supports automotive inputs/outputs, including ethernet, CAN and Flexray.